It’s that time of the year again when Girl Scouts across the country are out and about selling cookies to anyone with a pulse. What started as a way for Girl Scout troops to earn money in 1917, has slowly transformed into a cultural phenomenon prompting ice cream companies and even Dunkin’ Donuts to include the iconic flavors in their products. Everyone has their favorite Girl Scout Cookie flavor including me, a Food Editor and former Junior Girl Scout. I remember spending countless hours banging on neighbors’ doors selling these little cookies. And while I never sold the most boxes of cookies in the troop (the leader’s daughter always won top cookie sales, which I found extremely suspicious), I had fun learning about what it takes to grow a business and eat delicious treats. So if there’s anyone more qualified to test these, fight me. At the top (er bottom) of the list is the Caramel Chocolate Chip cookie. It’s a great cookie, but that aside, it’s a crispy chocolate chip cookie you can buy year round in the cookie aisle at the grocery store. And for that, it ranked the lowest on the list. Find Caramel Chocolate Chip cookies here. 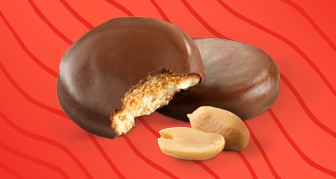 Whether they are called Caramel DeLites or Samoas, these classic Girl Scout Cookies fall under two categories: you either love ’em or dislike them. I fall into the latter because of the coconut, however, that’s a totally personal preference. Stamped with the Girl Scouts Trefoil, these cookies are the closest thing to the classic cookies troops sold in the 1920s. They are delicious dipped in some coffee or even a mug of hot chocolate. Love the crunch of toffee and finding bits of candy in your teeth hours later? These cookies are crunchy and crumbly and are everything you’ve ever wanted. Bonus: these golden toffee bit cookies are gluten-free. Did you know that the founder of the Girl Scouts, Juliette Gordon Low, was born in Savannah, Georgia? These crisp lemon wedge cookies topped with powdered sugar are sure to put a smile on your face as you take a bite. Find Savannah Smiles cookies here. You can never go wrong with peanut butter (that is unless you pair it with mayonnaise and turn it into a sandwich). This crunchy oatmeal sandwich cookie is filled with creamy peanut butter and begs to be dipped in chocolate. One is covered with a dark chocolaty coating while the other mimics a traditional S’more dessert. Either way you look at it, you can’t beat the combo of marshmallow, graham cracker and chocolate. 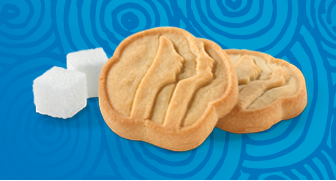 Find Girl Scout S’mores cookies here. A lot like Savannah Smiles, these buttery cookies are packed with citrus. I prefer these to the Savannah Smiles because they are a lot cleaner to eat. Dear Girl Scouts, thanks a lot for making these delicious cookies. The combination of butter cookie and chocolate just asks for a glass of cold milk. Figuring out which cookie I would rather eat for the rest of my life proved to be a difficult decision. Ultimately Tagalongs came in second. Barely. There’s a reason this cookie is the top seller year after year. 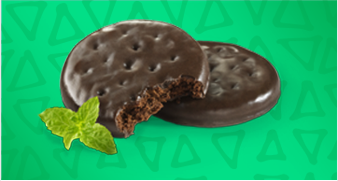 Mint, chocolate, and a crunch that won’t quit. Put a box of these in the freezer, you can thank me later.